Since Apple announced CarPlay late Sunday, we have seen Volvo, Mercedes, and Ferrari showing off how the iOS in the car works. But car makers weren’t the only ones who got access to CarPlay’s private API before the official launch: The video walk-through of Apple’s CarPlay in a Ferrari FF, for example, shows third-party apps as well, such as Spotify and iHeartRadio. These companies have been selected and granted early access to Apple’s in-car technology. Fast Company has talked with Brian Lakamp of Digital for Clear Channel Media and Entertainment to share their experience with Apple’s new technology. Lakamp oversees subsidiary iHeartRadio, which is an Internet radio service that is now part of Apple’s CarPlay. Although Lakamp didn’t disclose how much time they have spent on integrating iHeartRadio in CarPlay, he did confirm that it was a fairly quick process. Apple “has done a good job with the API,” as it eliminates the need to create a new, dedicated version and allows developers to add CarPlay support to the already-existing app(s). When asked about whether it is afraid of Apple taking over the car, Lakamp said that Clear Channel, iHeartRadio’s parent company, isn’t worried about it, as radio is here is to stay. Audio is a very important element of the car/driving experience, so what we are seeing now is a natural evolution of technology. 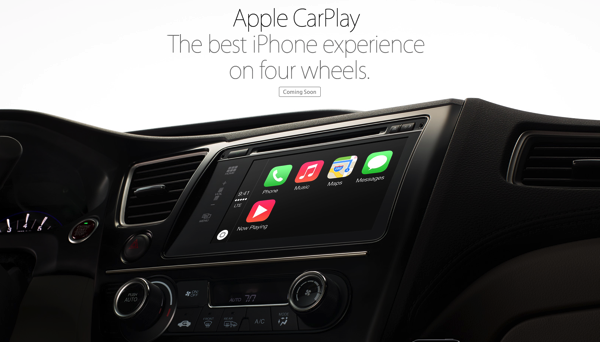 Apple has partnered up with Volvo, Ferrari, and Mercedes-Benz for the initial launch of CarPlay, but other car manufacturers have also joined the list, so we are going to see a handful of CarPlay-enabled cars rolling out this year.